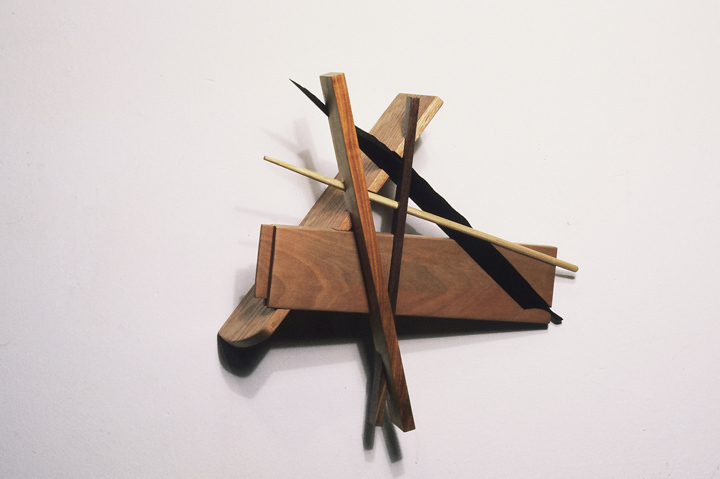 Six pieces of differing hardwoods were intersected in this small wall piece which was included in two shows. Maple, ebony, bamboo, Osage Orange, red oak, and walnut scraps were used. H: 12 in. x W: 12 in. x D: 6 in.